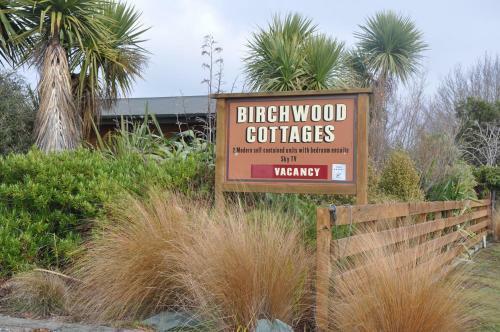 Set in lovely gardens just 5 minutes' walk from Te Anau city centre, Birchwood Cottages offers self-contained units with a private patio and views of the Fiordland Mountains. It provides free WiFi. 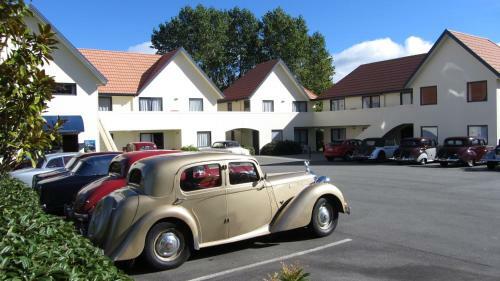 Distinction Luxmore Hotel is located in Te Anau's town centre, a short stroll from Lake Te Anau. It offers a wide range of accommodation with Fiordland-themed décor. Guests enjoy a fitness centre and free WiFi throughout the property. Just 2 minutes’ walk from Lake Te Anau, Anchorage Motel Apartments offer self-contained accommodation with free Wi-Fi, a flat-screen TV with over 50 satellite channels, and a DVD player. Bella Vista Motel is situated in a quiet location, just 2 minutes’ walk from the lakefront in Te Anau town centre. All rooms feature heating, electric blankets, free WiFi internet and satellite TV. 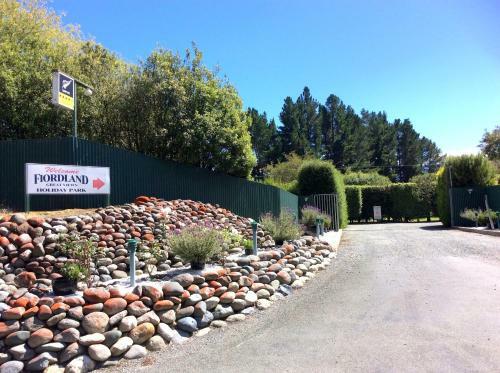 Just 2 minutes’ walk from Lake Te Anau, Aden Motel offers self-contained accommodation with 2 GB of free WiFi per day. Set in lovely gardens, this eco-friendly motel features an outdoor seating area, a children's playground and BBQ facilities. 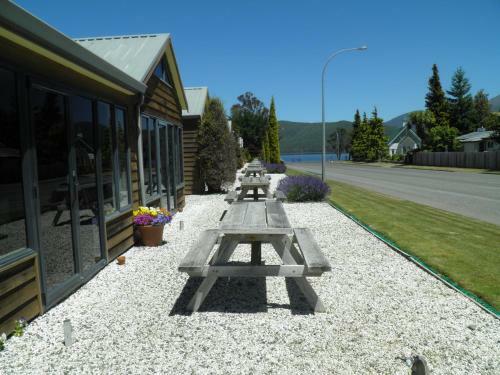 Just 5 minutes’ walk from Lake Te Anau, The Village Inn features a restaurant, a garden and a bar with a large stone fireplace. It offers rooms with electric blankets, a refrigerator and an electric kettle. Free parking is available on site. Located on the shores of Lake Te Anau, Lakefront Lodge offers self-contained units with free Wi-Fi, cooking facilities and satellite TV. Heating, electric blankets and heated towels rails are provided. 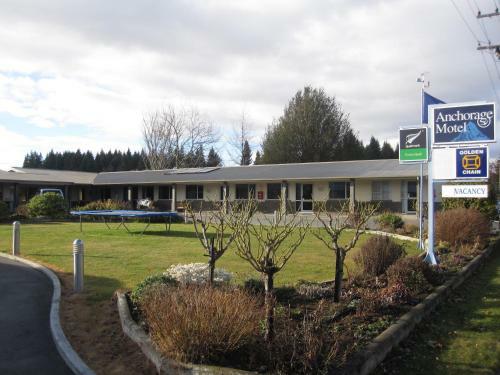 ASURE Amber Court Motel offers modern accommodation in a quiet location, just 2 minutes’ walk from Lake Te Anau. All units include kitchenette facilities, satellite TV and electric blankets. Guests enjoy 2 hours of free Wi-Fi access daily. 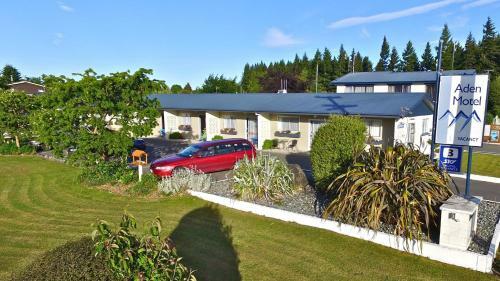 Located on the shores of Lake Te Anau, Fiordland Lakeview Motel offers self-contained accommodation with free Wi-Fi and lake and garden views. Guests can relax in the BBQ area surrounded by lovely gardens. Explorer Motel & Apartments feature a beautiful garden setting, a 2-minute drive from Fiordland National Park Visitor Centre. It offers a barbecue area, free parking and free Wi-Fi access. Located beside the river, where guests can go fishing, kayaking and swimming, Fiordland Great Views Holiday Park offers barbecue facilities, a spa, sauna, fitness centre and a children's playground. Guests receive 250MB of WiFi, per booking. 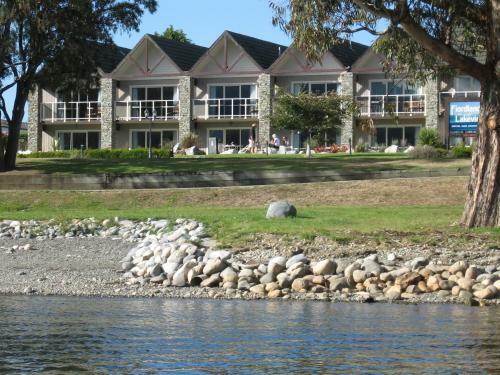 Set in New Zealand largest National Park, Fiordland National Park Lodge offers 3 types of accommodation in Te Anau Downs. Guests can enjoy the on-site snack bar. Certain units include a seating area where you can relax.